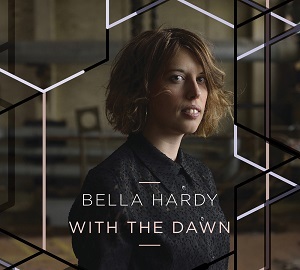 Bella Hardy's seventh solo album, With the dawn, is due to be released at the end of March. It's her first album since being named as BBC Radio 2 Folk singer of the year in 2014. For this album she has chosen to make it about a year in her life with all but one song being inspired by her thoughts or events during the year. As you'd expect from an album based around a year her life, the lyrics to the songs are personal and introspective. These lyrics are brought to life with her beautiful voice, and a range of instruments are used through the album to reflect the mood or sentiments being conveyed in the song. THis album is a perfect example of how different instruments can help make songs convey a different mood, whether its the violin, the banjo, the piano or the horns, each instrument helps add a different feel to the song. It's not a cheerful uplifting album - it's more chaotic and gloomy with some positive notes, but it's a compelling listen. It's one of those albums that you can listen to again and again and each time notice more details either in the lyrics or the music.